The land Down Under has given the world many things. Irresistibly cute, although quickly grating accents, a love of kangaroos, an incredibly weird spread called Vegemite, and of course, every basic bit*hes must have–Uggs. One of the most beautiful continents on the globe, Australia boasts quite an eclectic group of native creatures and animals not seen anywhere else in the world. Here are 14 creatures only the Aussies have both the honor, and horror, of calling all their own. Enjoy mate. Heavily present throughout most of Auralia, crocodiles are shockingly large in the land down under. 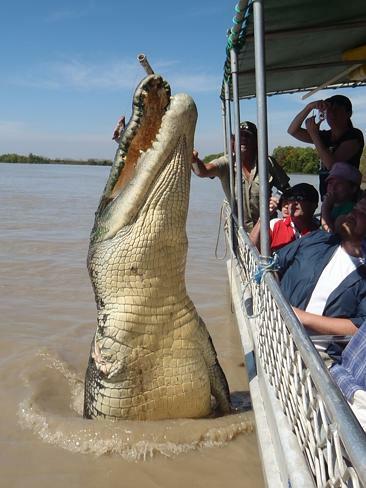 This saltwater croc is estimated to be a whopping 18 feet long.